Electrical Innovations (Derby) Ltd are Electrical Contractors in Derby. 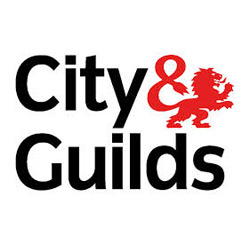 Established in 2006 by Ben Curry, after completing his Electrical Apprenticeship and serving 3 years on the tools as an Electrician for a local Derby company and since then worked as an Electrical Contractor in all areas of the trade. There are 6 of us in the Team at Electrical Innovations. We undertake all types of electrical works and small building works. From complete rewires to additional lighting and power points and everything in between, our Electricians can carry out all types of electrical works, no job is too big or too small. A full rewire on a large Victorian property that included over 100 polished chrome accessories, external lighting, alarm, home internet network and lots more. We have installed lots of CCTV and Alarm systems to all types of properties and lots of peoples homes. In 2018 we carried out 22 rewires. Everything from a small 2 bedroom house in Derby that was completed in 4 days, a cottage in Swarkestone, and a rewire during half term week for at a property where the family were living in the house and all mess and disturbance was kept to a minimum. Around these larger jobs we have also carried out lots of call out works, breakdowns and repairs. Faulty shower pull switches, Landlord condition reports and external lighting upgrades. I try to keep this page updated. In March 2019 we are currently working on 2 HMO projections in the centre of Derby, a LED lighting conversion to a factory unit and we also work closely with a local Heating Installation company to wire up 10-15 Boilers a month. So far in 2019 we have already completed 6 full rewires. Our goal for the year is 30. Small works are still one of our specialities and we can fit any type of job in even at short notice. Socket replacements, damaged accessories repaired nothing is too small to call us out for. Specialists in small works and repairs. We are fully qualified, insured and NICEIC Approved electricians that have extensive experience of all types of electrical works. We pride ourselves on being clean, punctual and communicating well with our customers. 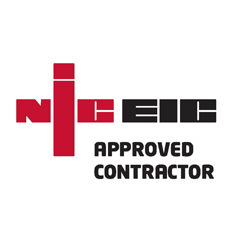 All work comes with guarantees backed up by assurances from both the NICEIC and Trustmark. How much does it cost to install underfloor heating? This can vary. A common electric underfloor heating system is 150watts per square meter. Bigger rooms will need more heat mat installed, but you should also consider the heatless in the room to. Is it draughty, are there lots of windows? all of these things can impact the cost of running the heating. On average a 150w mat that is 5m2 will cost around 12p an hour that it is running. If it's up to temperature the thermostat will cut off the heat so the mats might not be on as long as you would think . Its fine to place furniture over a heated floor, but any fixed items such as kitchen units, baths and toilets will need to have the underfloor heating fitted around them. Hot spots can form which will in turn damage the floor if there is insufficient air circulation. Planning ahead will solve any issues. 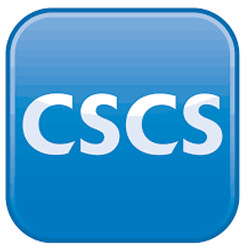 Ben and his gang are very knowledgeable in all aspects of electrics, cctv & security installation. Never shy of sharing the knowledge either which is a great benefit. Very conscious & courteous of other trades when working in site which in turn helps the job run smoother & to the schedule which in turn helps everyone, mainly the customer. I’d recommend Ben and his team very contentious, take pride in their work and will always recommend the most upto date technology’s. Ben has worked hard to expand his buisness over the last few years and only employs staff that he no’s and trusts to give the same great service he does himself.